You must constantly complain about the cellular data on iPhone not enough for you daily use, often overruns, unless you have purchased an unlimited data plan from the carrier, or else you have to pay more money to buy extra traffic. You can check your Cellular data usage on iPhone easily. First, head to your iPhone’s settings app. 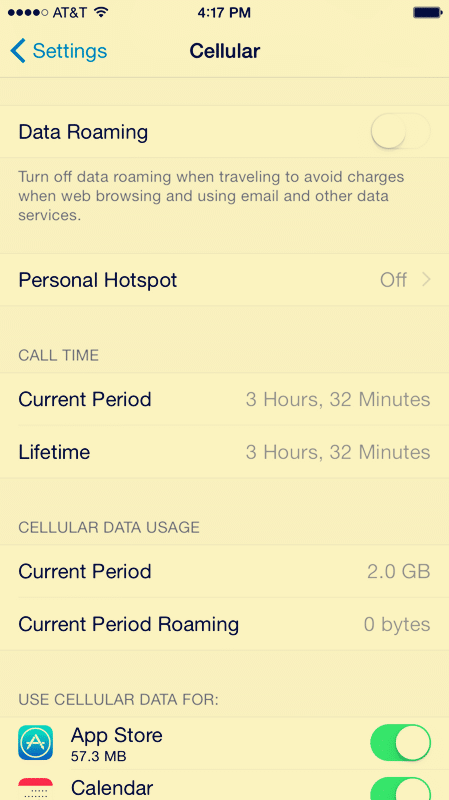 Tap on “Cellular,” then scroll down to “Cellular Data Usage.” You’ll see your data usage (sending and receiving) over the cellular network for the current period, as well as call time in the section above it. Scroll down and you will see a list of your apps and the amount of cellular data each app has used. Periodically checking the data usage will let you know which apps have been using the most data. If you want to track your monthly cellular data usage, you will need to manually reset the usage information at the beginning of each billing period. Scroll all the way down and you’ll find the following Reset Statistics option. Tap to reset your usage statistics. 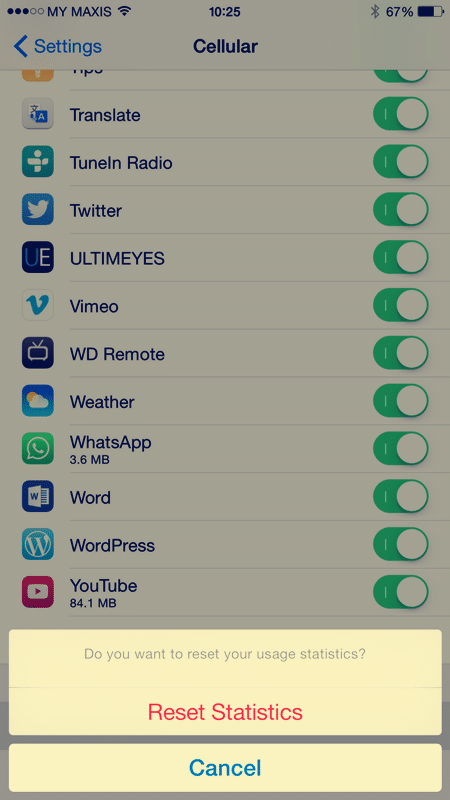 To track your data usage on iPhone, you need to install some apps or widgets from App Store. 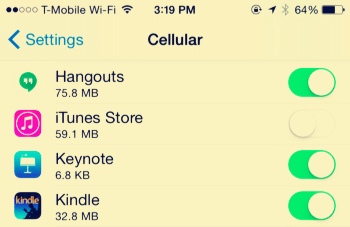 To reduce cellular data usage on your iPhone, you can try to take the following measures. 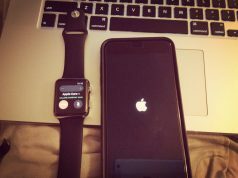 Sometimes, App Store will consume your traffic shamelessly when you did not notice, you should prevent the App Store from automatically downloading content and updates while your iPhone is on cellular data, forcing it to wait until you’re connected to a Wi-Fi network. Just go to Settings app and tap iTunes & App Store to access these options. Other apps may also exist such a case, you need to check one by one and close them, such as the Podcasts app. Due to iOS 9 now allows apps to automatically update and download content in the background. So disable this feature will greatly reduce the cellular data usage. Just go to the Settings app -> General -> Background App Refresh. Toggle apps to off if you don’t want them to refresh in the background, or disable the background app refresh feature for every app on your phone. Disable Mail, Contacts, and Calendar Sync when your iPhone is connected to 3G or 4G networks. Open the Settings app, tap Mail, Contacts, Calendars, and tap Fetch New Data. You can adjust options here to get new emails and other data “manually.” Your phone won’t download new emails until you open the Mail app. Use a third-party browser to save more traffic on your iPhone. Some third-party browsers come with a built-in data compression proxy, like Google Chrome or Opera. In Chrome, open the Settings screen, tap Bandwidth, and enable the Data Saver option to take advantage of this. 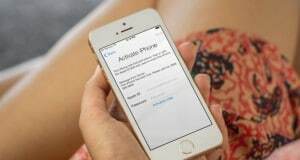 such as some music, video or Maps app will consume a large amount of cellular data resulting high costs when you iPhone lacks a available Wifi network. Obviously this is a very extreme solution, you can head to the Cellular screen and toggle the Cellular Data switch at the top to Off. You will not be able to use cellular data again until you re-enable it. This may be a good solution if you need to use cellular data only rarely, or if you’re nearing the end of the month and you want to avoid potential overage charges.